Imagine you’re about to go on a once in a lifetime holiday. You find two travel companies that are offering packages. One company is ‘Travel Trusted’ they have the package you have always wanted. It’s about the price you expected. The reviews are all good and the customer testimonials are favourable. The company is regulated and from all accounts is trustworthy. The other company is ‘Dodgy Brother’s Travel’. They have the package you always wanted. But it’s 40% cheaper than ‘Travel Trusted’. The reviews for the company all seem strangely the same. There aren’t any customer testimonials and from what you can see on their website there’s no mention of a regulated authority. But they’re 40% cheaper…that’s a pretty good deal. Or is it? Who would you really want to travel with? After all this is a once in a lifetime holiday. Would you really risk everything to travel with the risk that comes with ‘Dodgy Brothers’? Or do you travel with the safety, certainty and peace of mind that comes with a regulated, trusted and honest company? It’s an easy decision really. Of course you’d choose the company with a good reputation. The company that is a member of a regulated industry body. You would choose them because you want peace of mind. You want to be safe. You want to get everything you paid for and to get it at the standard you were promised and expect. But when it comes to moving home too many people choose the equivalent of the ‘Dodgy Brothers’. Too many people are happy to take a chance and roll the dice. They risk the safety and security of their most prized and treasured possessions by using ‘on the cheap’ companies. The main reason they do it is because of cheap prices. But if you pay peanuts you’ll invariably get monkeys doing the job. And let’s be honest I’m pretty sure monkeys juggling your crystal glassware isn’t your preferred option. In all serious though have a look at all the belongings in your home. Photos, memorabilia, priceless sentimental ornaments, books, glassware, and artwork…I’m sure it’s an extensive list of things you hold dear. So why would you put any one of those things at risk by using an unknown, untrustworthy and unregulated moving company? What might save you a few quid now could cost you an immeasurable amount after the move. In fact it might cost you everything. Becky Sznek and her fiancé Mark Higgins found a removal company on Facebook. 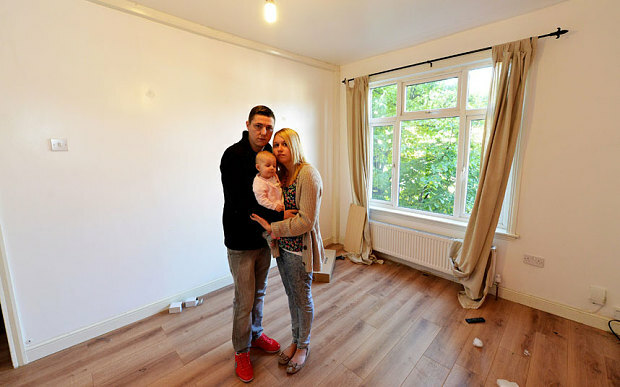 They were moving their possessions only eight miles from a flat in the West Midlands flat to a new flat in Wolverhampton. Unfortunately for Becky and Mark they didn’t choose a company that was regulated. They didn’t choose a company that was trusted and reputable. Sadly for Becky and Mark it cost them everything they had. ‘Two workers loaded up the rental van, they drove off with the entire contents of the couple’s flat and were never seen again. Put yourself in Becky and Mark’s shoes. How would you feel if two men just drove away with all the belongings and possessions that are important to you and your family? Imagine having to start from scratch again. All those photos gone, probably dumped in the trash somewhere. Your jewellery and sentimental effects in the hands of criminals. That’s the risk you take when you use a company you know nothing about. Using a company that’s untrustworthy and unregulated puts everything you own at risk. That’s why it’s so important to use a company that’s regulated through industry bodies like the British Association of Removers, Euromovers or the Fédération Internationale des Déménageurs Internationaux (FIDI). By using a regulated, trustworthy company you can move home, move your life, with the ultimate peace of mind. And even if something does go wrong you have an industry body you can turn to for help. Moving home is always one of the more stressful times in a person’s life. So why add extra stress and extra worry by using a company you can’t trust. That’s why it’s a ‘no brainer’ to use a company that has positive reviews from real people, legitimate client testimonials and is regulated by the right industry bodies. When it comes to choosing a company to help you move home there is no choice. You stick with the good guys. Stick with the company that has a long history of quality service. A company that treats you and your belongings like a member of their own family. That’s the only kind of company you should look at when it comes to helping move you and your family’s life.